A solvent free acrylic polymer emulsion adhesive for vinyl floorcoverings. It dries to a permanent tacky film and is used to reduce the incidence of trowel serrations shadowing through thin vinyl flooring. 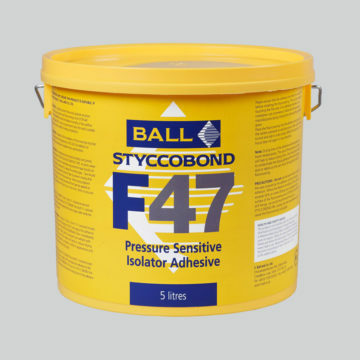 To be used in conjunction with Isolator Jointing Tape to seal all joints in the Isolator Membrane. Can be used on subfloors with up to 92% Relative Humidity.